There is a difference between a linear, and a non-linear, dynamical system; our brain is non-linear and dynamical in its behavior as all organisms and the natural world. Quantum physics attempts to understand the nonlinear nature of our reality. But those for us in European and North American cultures face significant challenges in grasping and describing complex, dynamical, adaptive systems, which is another was of saying ‘non linear system’. There are assumptions so deeply embedded in these cultures’ education and worldview, that one is not even generally aware of them. So these assumptions (or accepted beliefs) make it difficult to understand and/or deal with system complexity. The Lorenz attractor looking like buttterfly wings (above) is an example of a non-linear, dynamical system. Studying this system helped gave rise to Adaptive Systems Theory. •Every observed effect has an observable cause. •Sufficient analysis of a system (weather pattern, living organism, etc.) can create the capacity to predict future behavior. Examples: in chemical reactions, optics (lasers), electronic circuits, fluid dynamics (heat convection) etc. Another great example of non-linear reality, or synergy, would be steel. In chrome-nickel-steel, the primary constituents are iron, chromium, and nickel. There are minor constituents of carbon, manganese, and others. It is a very popular way of thinking to say that a chain is no stronger than its weakest link. That seems to be very logical to us. Therefore, we feel that we can predict things in terms of certain minor constituents of wholes. That is the way much of our thinking goes. If I were to say that a chain is as strong as the sum of the strengths of its links, you would say that is silly. If I were to say that a chain is stronger than the sum of the strengths of all of its links, you might say that that is preposterous. Yet that is exactly what happens with chrome-nickel- steel. If our regular logic held true, then the iron as the weakest part ought to adulterate the whole: since it is the weakest link, the whole thing will break apart when the weakest link breaks down. So we put down the tensile strength of the commercially available iron__the highest that we can possibly accredit is about 60,000 pounds per square inch (p.s.i. ); of the chromium it is about 70,000 p.s.i. ; of the nickel it is about 80,000 p.s.i. The tensile strengths of the carbon and the other minor constituents come to another 50,000 p.s.i. Adding up all the strengths of all the links we get 260,000 p.s.i. But in fact the tensile strength of chrome-nickel-steel runs to about 350,000 p.s.i. Here we have the behavior of the whole completely unpredicted by the behavior of the parts. This is non-linear! 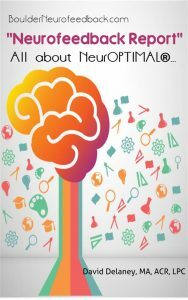 NeurOPTIMAL® neurofeedback uses the nonlinear brain science initiated by Dr. Karl Pribram.